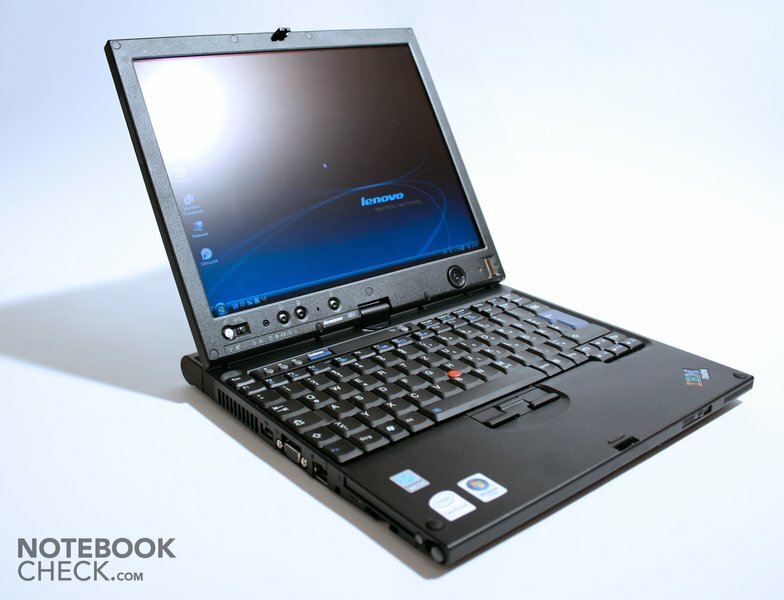 The Lenovo IBM Thinkpad X61T is a compact mobile notebook with tablet functions. It's light magnesium case and the good battery runtime qualifies it for students, who need to browse the Internet, take notes, and copy pictures by using the pen. Furthermore, it is also not fit for up-to-date games, because of an integrated video solution and a processor with low-energy demands. So, it makes it easier to concentrate on the lesson. 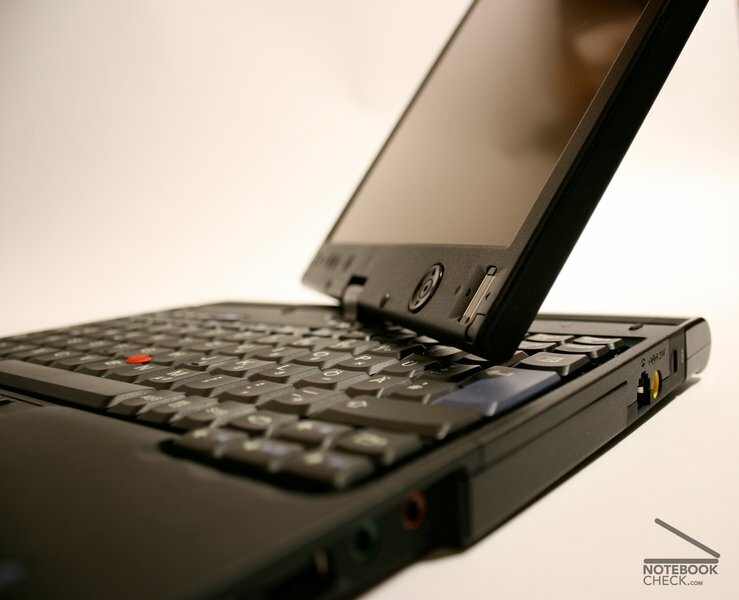 The X61 Tablet's workmanship is first-class, as we are already used to by Lenovo. At least after turning the display round and picking up the pen, it attracts the attention of everybody in its vicinity - even MacBook user will be amazed. 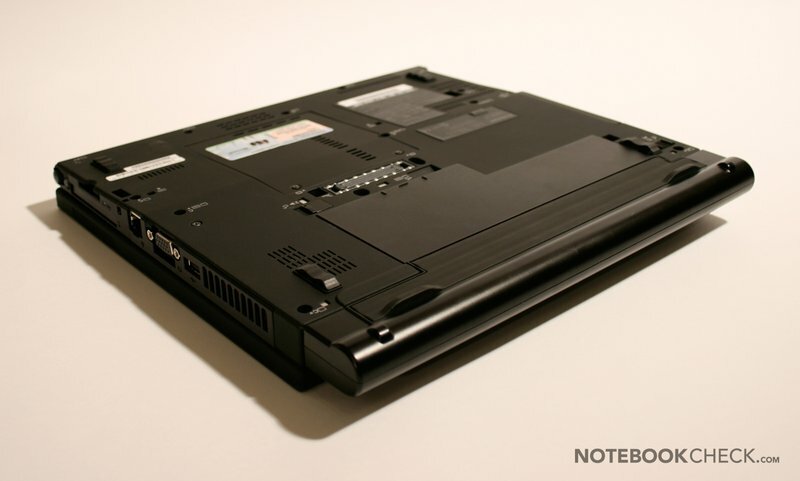 Actually, the look of the X61T and of other Lenovo notebooks are generally a matter of taste. Some love it, while other think, it is out of fashion. At least it does not look ordinary. 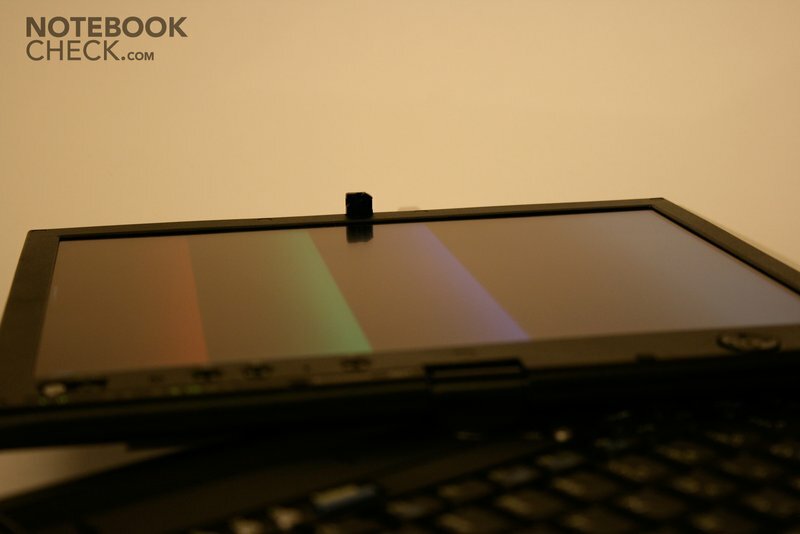 Furthermore, Lenovo produced a notebook, whose look, haptics, and technology are excellent without copying from from Apple. 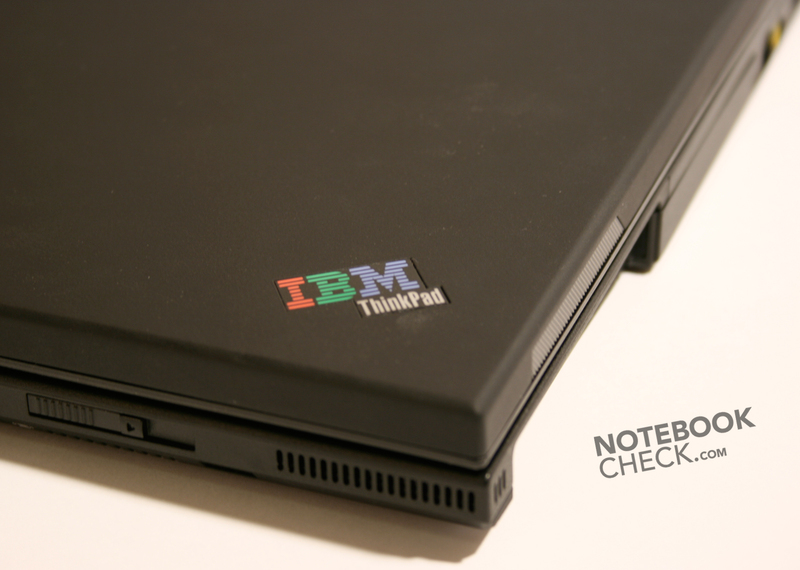 Overall, the Thinkpad X61 T seems to be an anti MacBook in all aspects, and pleases this way. If you are still not convinced by design and tablet functions, you might be impressed by the provided hardware-based security, e.g., a shock protected hard disk or a finger print reader. 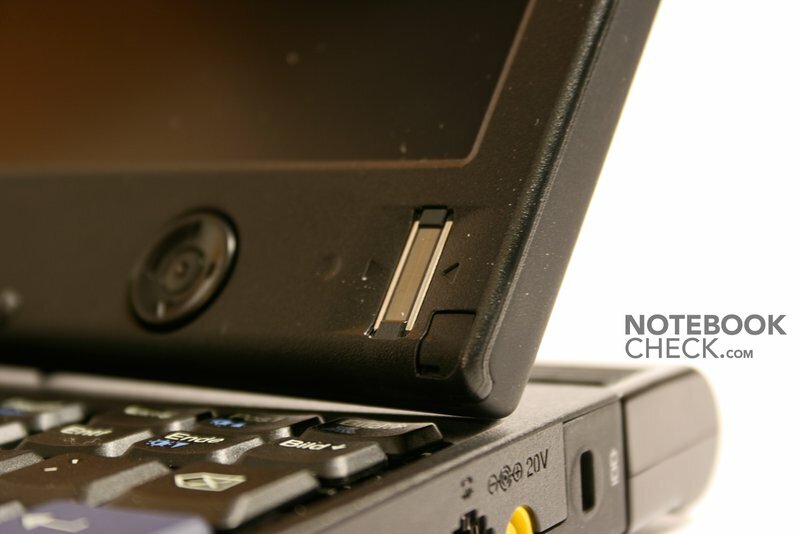 However, an optical drive was missed out, but, in turn a docking station port is provided. At first you'll notice that the X61 T misses a touch pad out. But, once you've worked with the user-friendly red track point for a while, you'll be glad doing it without a touch pad, and raise the question, why this best mouse replacement did not became the standard and was not established overall. The track point does not only ease quick navigation, it also demands less space. 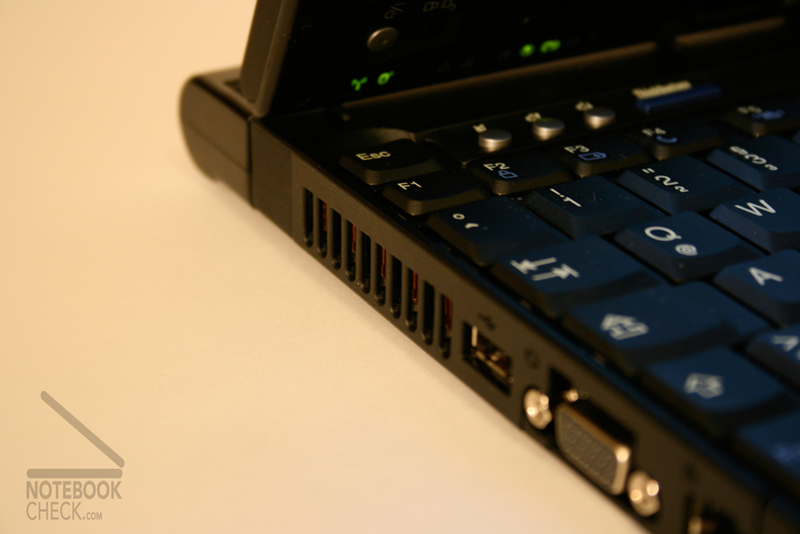 The keyboard has a concise, clearly structured, and user-friendly layout. 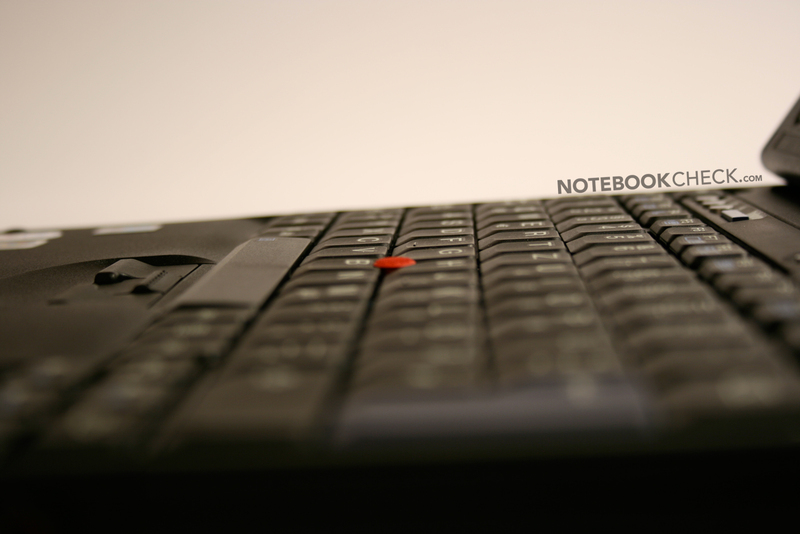 This is except of the Fn key, because it swapped space with the Ctrl key. 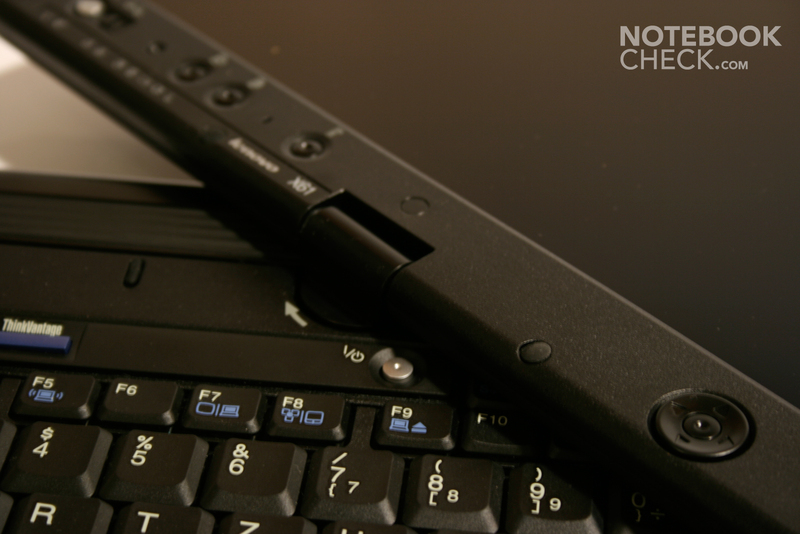 Typing is comfortably silent without clattering. We were also pleased by the user-friendly point of pressure. Furthermore, many hot keys are provided, some of them twice, to be accessible also in tablet mode. 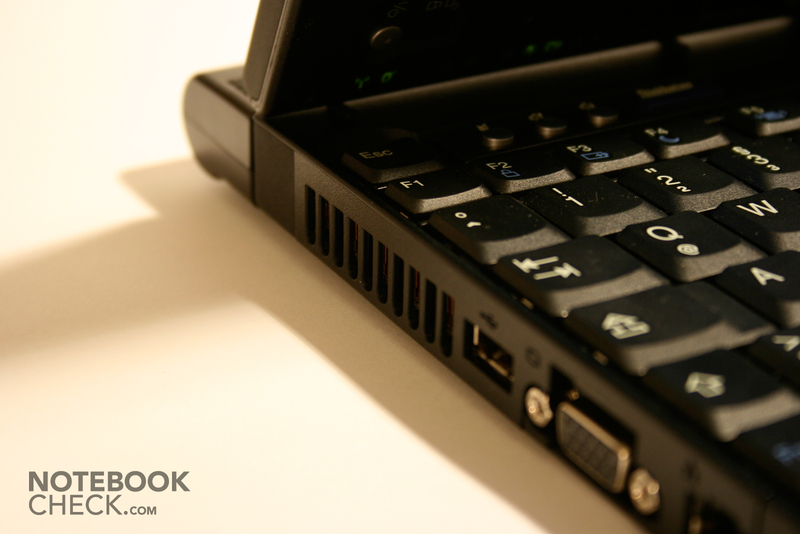 The most striking hot key is the ThinkVantage button, which can be used to invoke a menu covering a number of Lenovo specific tools. It provides, e.g., help for networking, data security, and a number of settings. If you press this button during system start-up, the recovery system will be started allowing to backup and restore data. 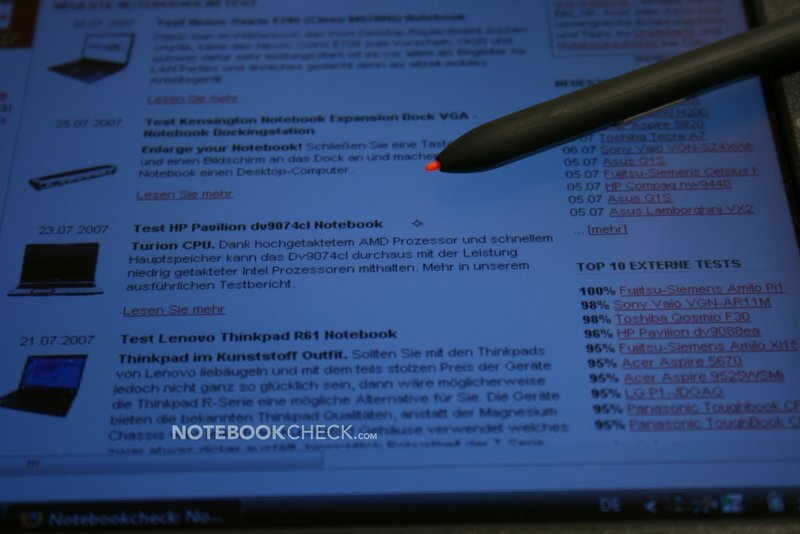 However, we were most interested in the pen, because we were not used to using the X61 tablet by pen on the display. 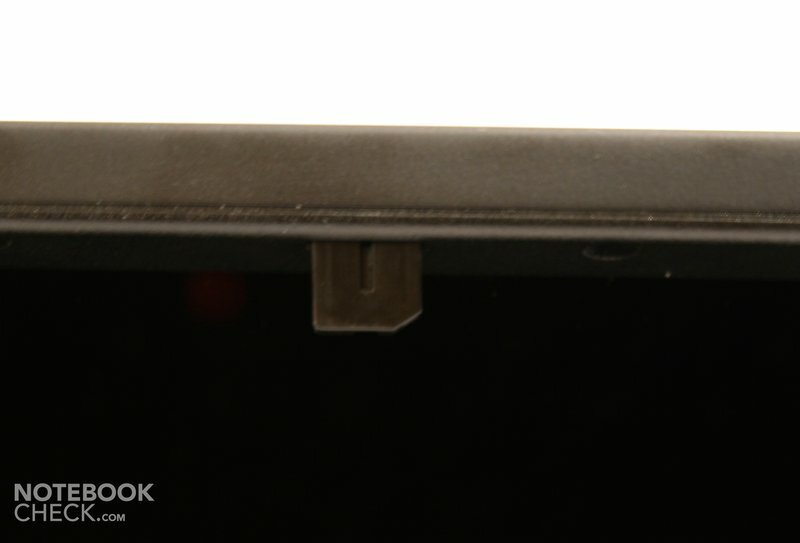 The X61 tablet recognizes the pen already, if it is still 2 cm off the display, and marks this by a small circle. 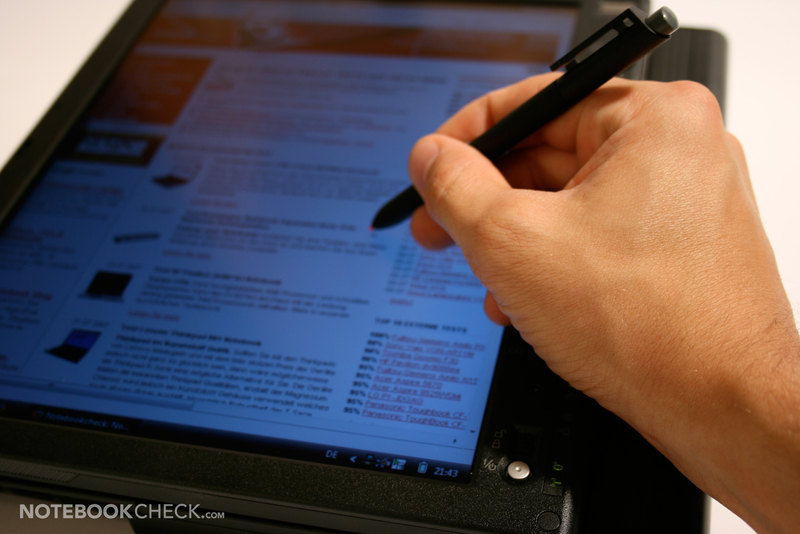 Clicking with the button at the pen's side is equivalent to a right mouse click. Navigating is alright, but, the point marked at the display is about 1mm moved to the right. Furthermore, we sometimes received the impression, that the track point only reacts slowly. Therefore, we felt that the track point combined with the keyboard is the best input alternative. But, the pen is better for notes, drawings, and drafts, even more, because it recognizes a number of different pressure levels. 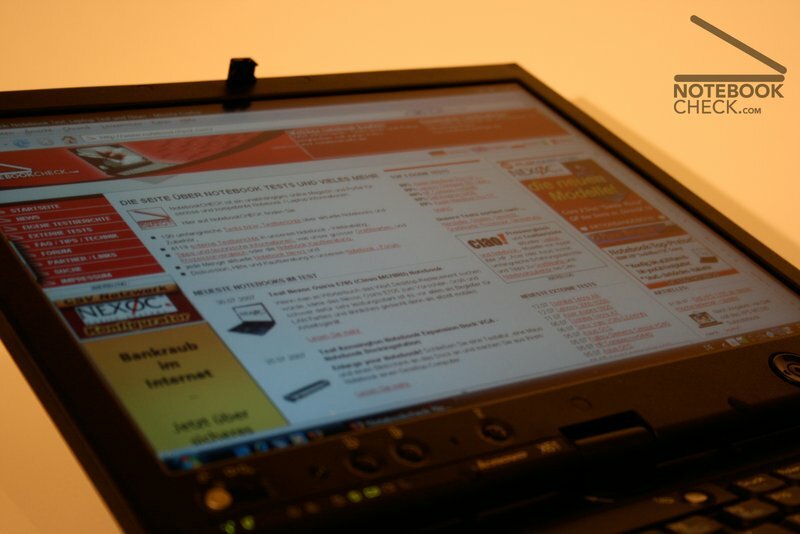 The X61 Tablet is equipped with a 12.1" display with a maximum resolution of 1024x768 pixels. It captivates by a very good stability to the vantage point and gets only fuzzy at extremely acute angles. The brightness is just sufficient for outdoor usage, but, reading the display gets cumbersome in the sun. 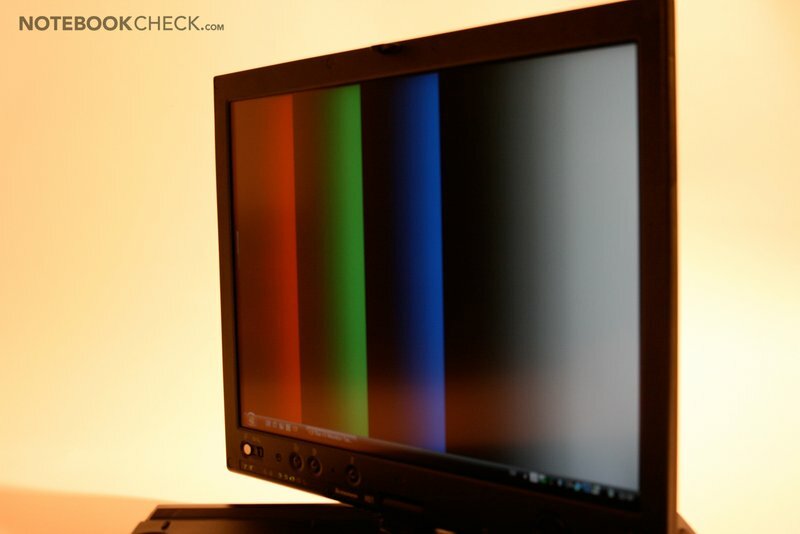 Although we first thought, that the display's resolution is low, we soon understood this decision of the designers. A higher resolution would have made navigating and precisely positioning the pen difficult. 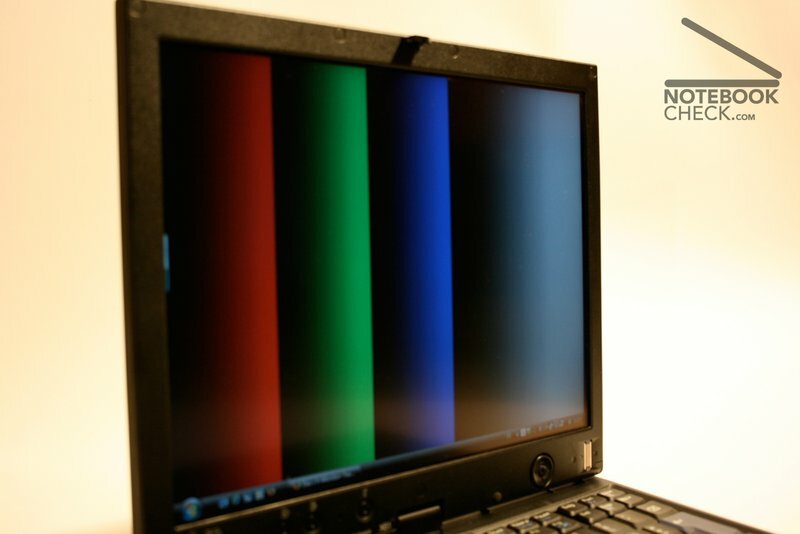 The color diagram depicts a nearly ideal red and blue color curve, and a lowered green color curve. Also subjectively the image seems a little bit yellowish. 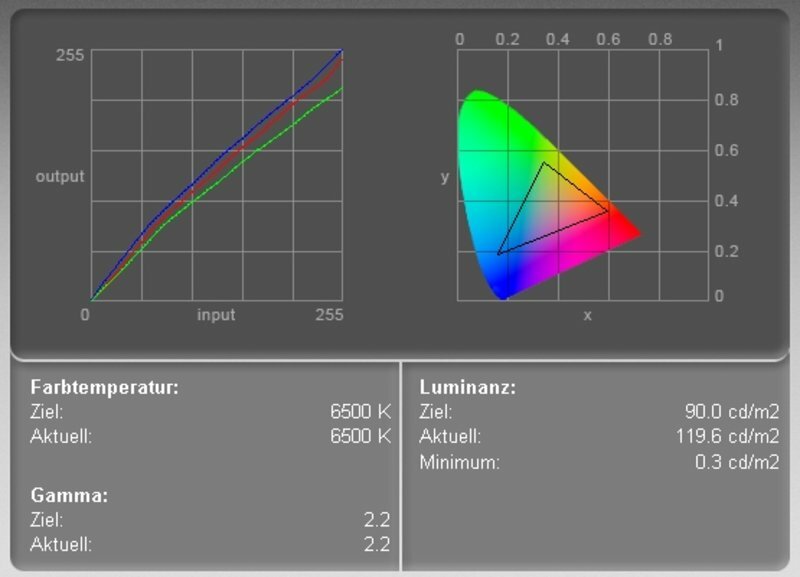 The measured minimum brightness of the display (black value) amounted to 0.3 cd/m² and gives together with the maximum brightness of 119.1 cd/m² a maximum contrast of 397:1. While black value and contrast are very good, we were a little bit underwhelmed by the maximum brightness, even it was subjectively better. We could not detect any anomalies regarding speed of reaction. 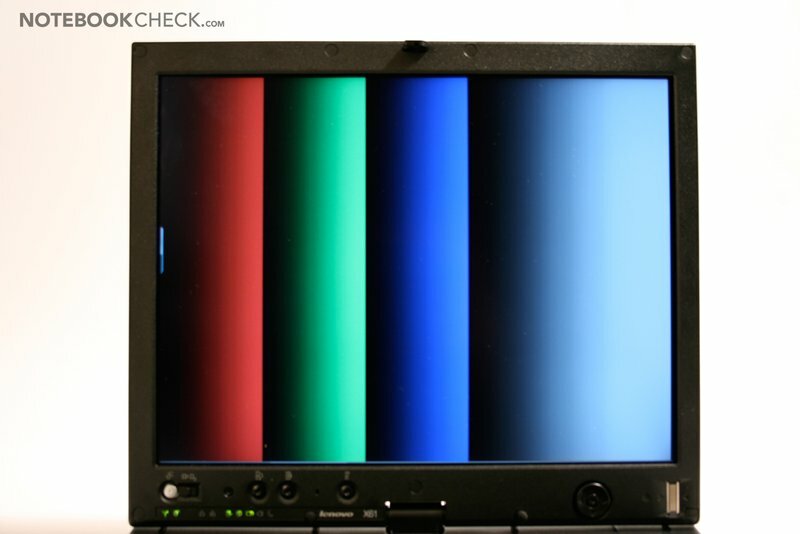 The display of X61 Tablet surprised us with automatic dimming in battery mode. However, it can be disabled by BIOS settings. 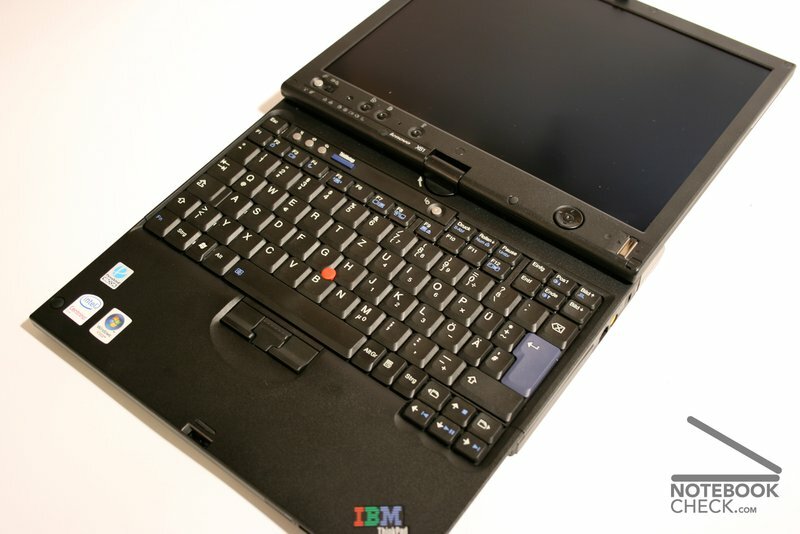 It was pretty clear that the X61 Tablet won't provide outstanding performance. 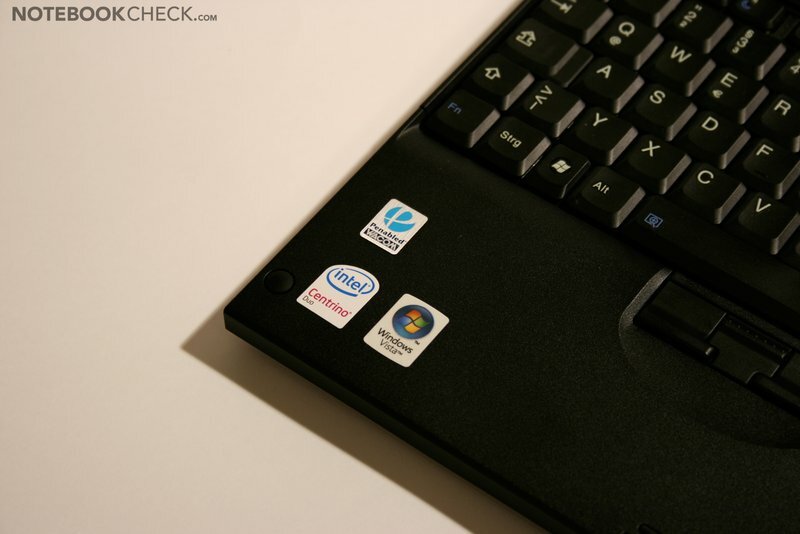 However, the Intel Core 2 Duo L7500 with 1.6 Ghz and Intel's integrated video solution, an Intel GMA 950, are too weak. However, 2 GB main memory kept hope alive that at least office performance is alright. Finally, it turned out, that the performance is actually sufficient for office work under Windows Vista. 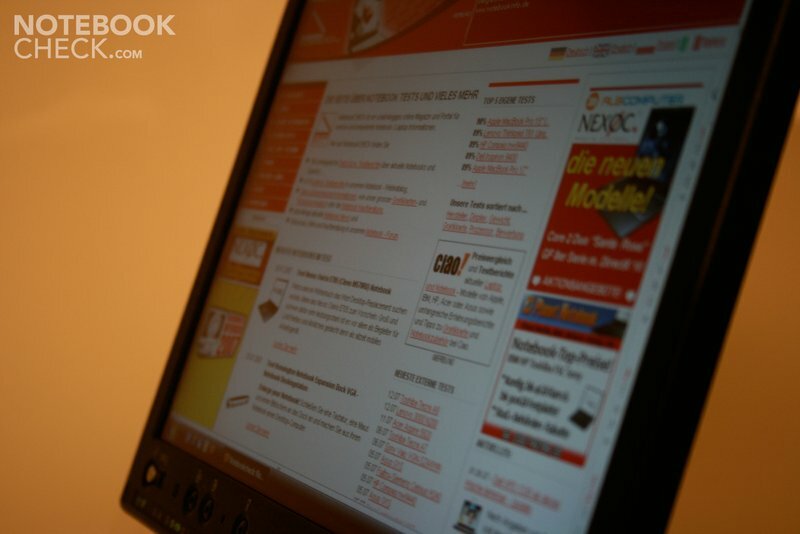 As pure office notebook, this Tablet PC is, in the reviewed configuration with best available equipment, quite alright. However, it is completely insufficient for occasional games. It is not even possible to play Doom III with 8,5 FPS in the lowest resolution. Even older games cause problems, e.g., Quake 3 Arena reaches with best settings only an average of 24 FPS. Playing games with the X61 Tablet is like attending a car race with a Jeep: Not in the right ballpark. 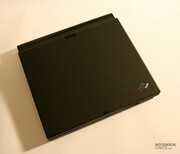 However, the Thinkpad's performance is sufficient for its main field of operation. 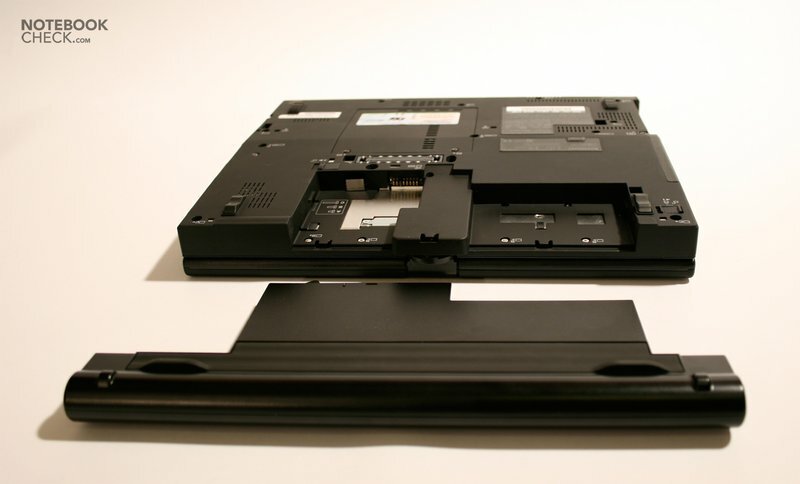 Furthermore, the battery runtime is long, because of low-energy components. Further information about the video card can be found here or in our comparison of mobile video cards. In idle mode a noise level of about 33.4dB is reached. In quiet environments the notebook is therewith audible. However, the noise is decent. Under load the X61 T is not much louder. A noise level of 37.1dB is also alright. Sometimes we heard a short squeaking in battery mode. 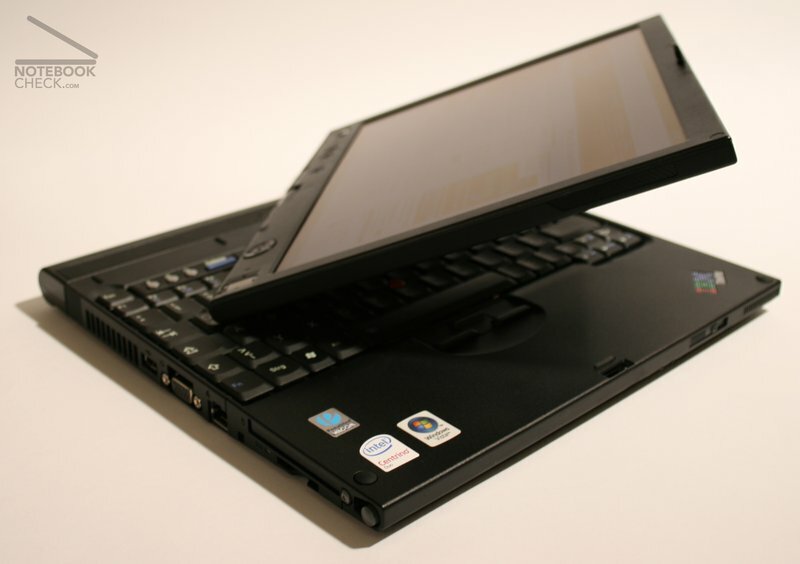 Although the surface temperatures of the Thinkpad X61 Tablet are generally alright, they are too high in Tablet mode, if you work lap top. At the bottom side the temperature increased to up to 46°C, at the hand ball support it was also as high as 35°C. 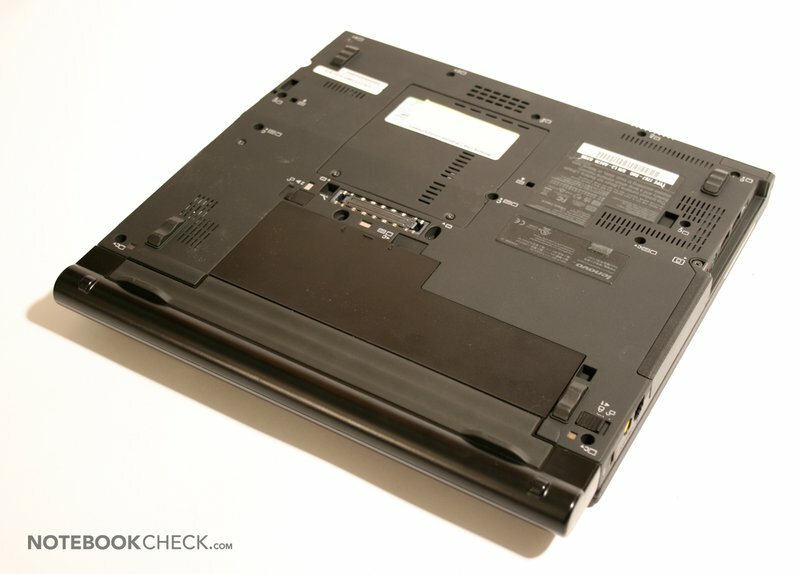 The stereo speakers of the X61 Tablet are placed at the notebook's sides. Their basses are poor, but, their sound is clear, especially high tones sound alright. Considering the size of the X61 Tablet its speakers are good. 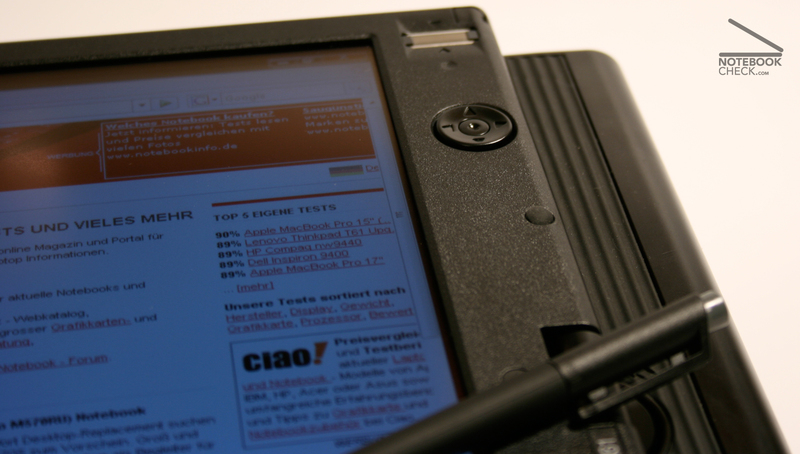 A special strengths of the X61 Tablet is its long battery runtime. However, it is only reached with the also, for an additional charge, available 8 cells battery. Anyway, above 8 hours maximum runtime is impressing. During WLAN operation, which is most common in practice, the battery runtime also exceeded 3 hours with high brightness. This is still sufficient for lessons, etc. Under full load the X61 Tablet still reached a runtime of nearly 2 hours, which produces evidence for Lenovo's energy saving qualities. 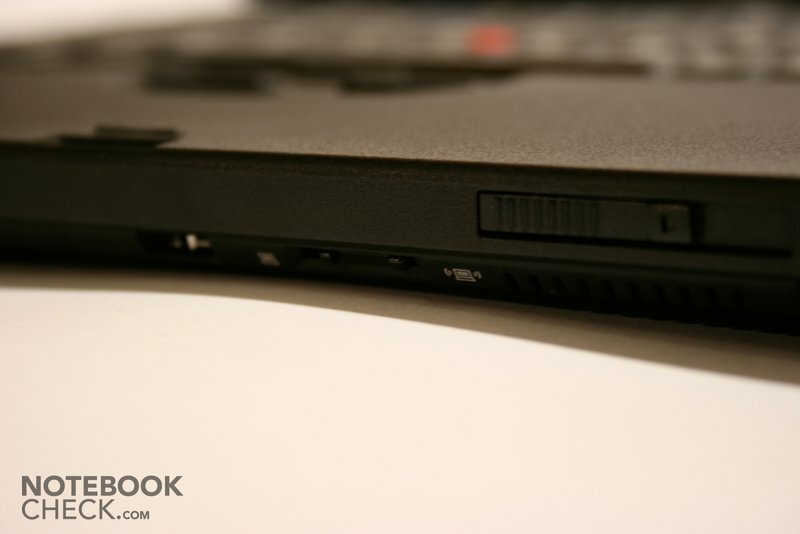 The Thinkpad X61 Tablet is a first-class equipped notebook, which costs as much as 2800€. It produces unimpeachable evidence that unique design, fantastic features, and high-quality materials are not only provided by Apple. 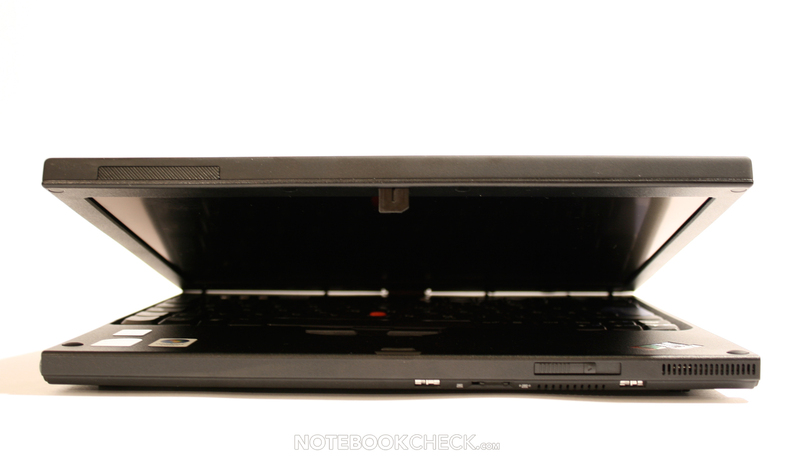 Furthermore, this Lenovo notebook captivates by excellent battery runtime, good display, impressing quality, and tablet functions, which are robust, but not outstanding. 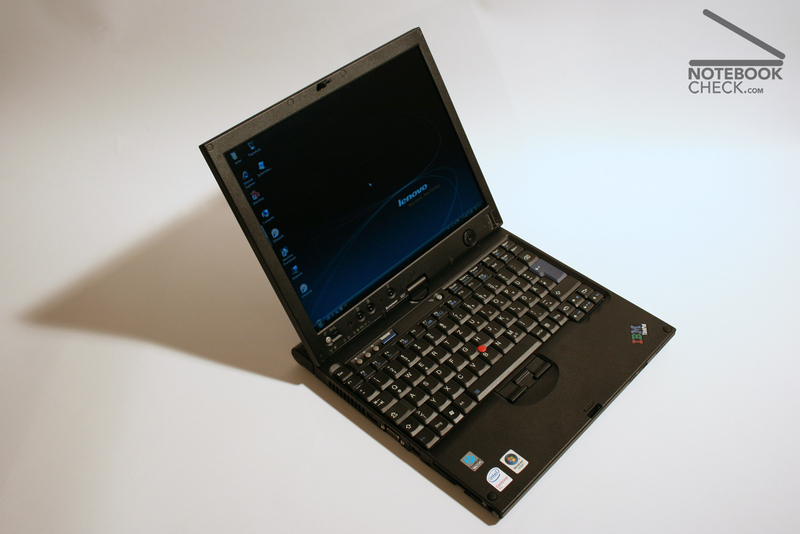 For most of you the X61s, which is equally equipped than the X61 Tablet, but, does not provide tablet function and cost about 600€ less, might be the better choice. 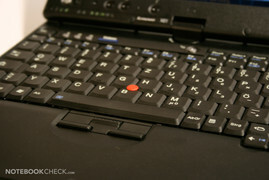 The Return of the Thinkpad..
...and the keyboard, but, Ctrl and Fn are the other way round. The temperature is a little higher at the bottom side and reaches 46°C which might especially disturb in tablet mode, when working on the sofa. We were pleased by the two power switches, one at the display and one at the case, whereas the switch on the case additionally provides a hold function. 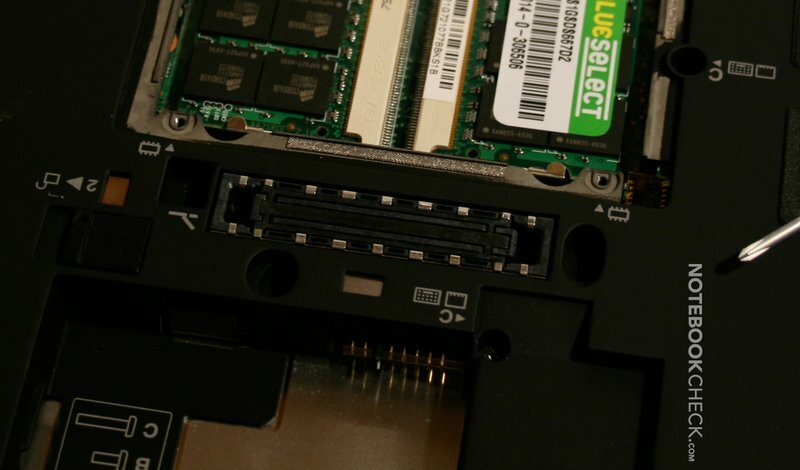 The high-quality hinge is very stable. 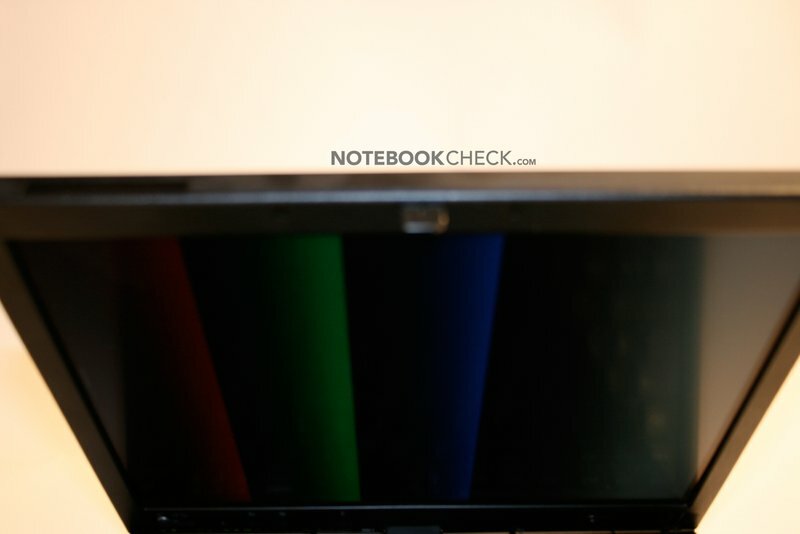 ...as well as to securely lock the notebook during transportation. ...turn the display round and now its a Tablet. 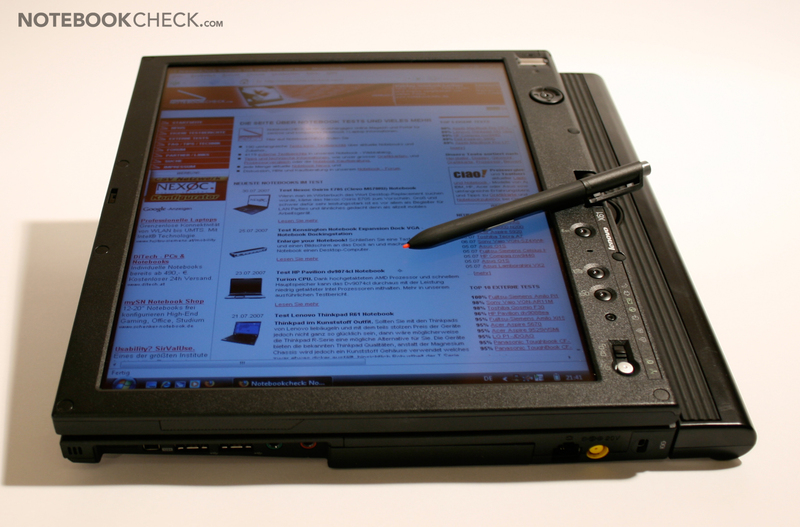 But, this one is different: This Thinkpad is a Tablet PC. The X61 T comes with the typical Lenovo Thinkpad design with magnesium case. 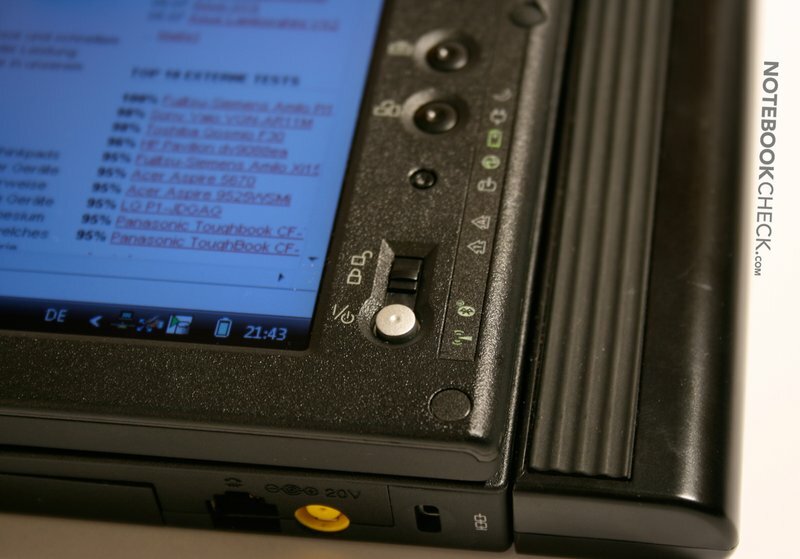 Also great: A docking station port is provided. 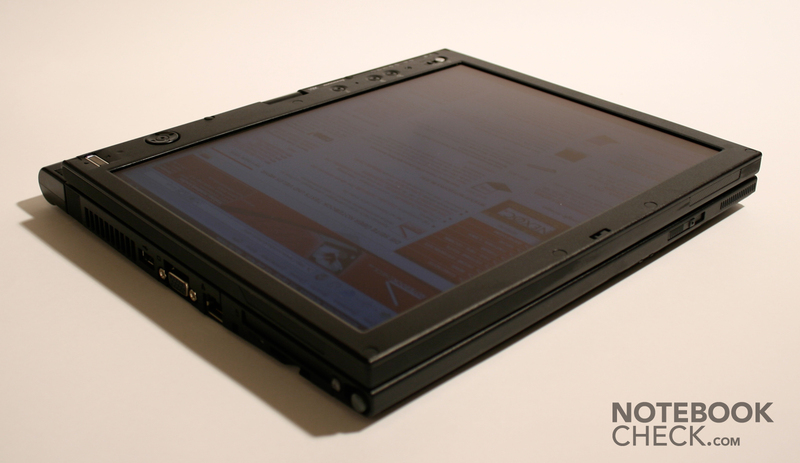 Toshiba Portege M400: Another Tablet PC. 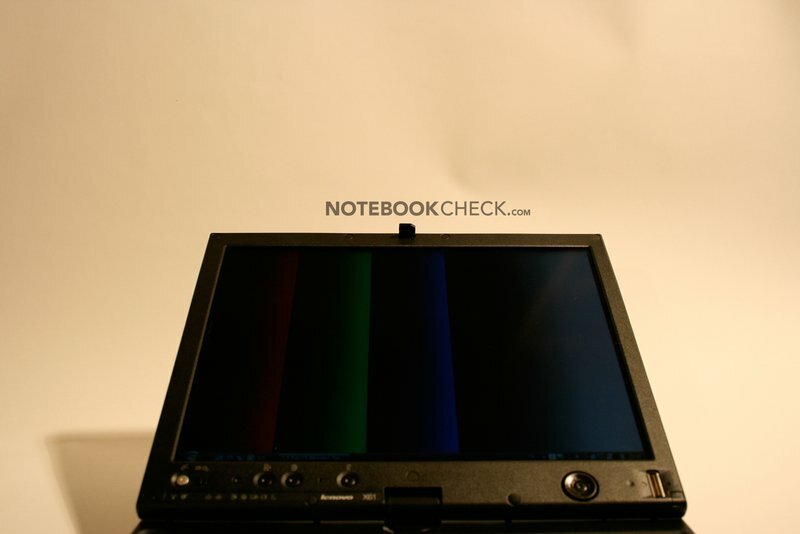 Asus R1F: A 13.3" Tablet with optical drive. 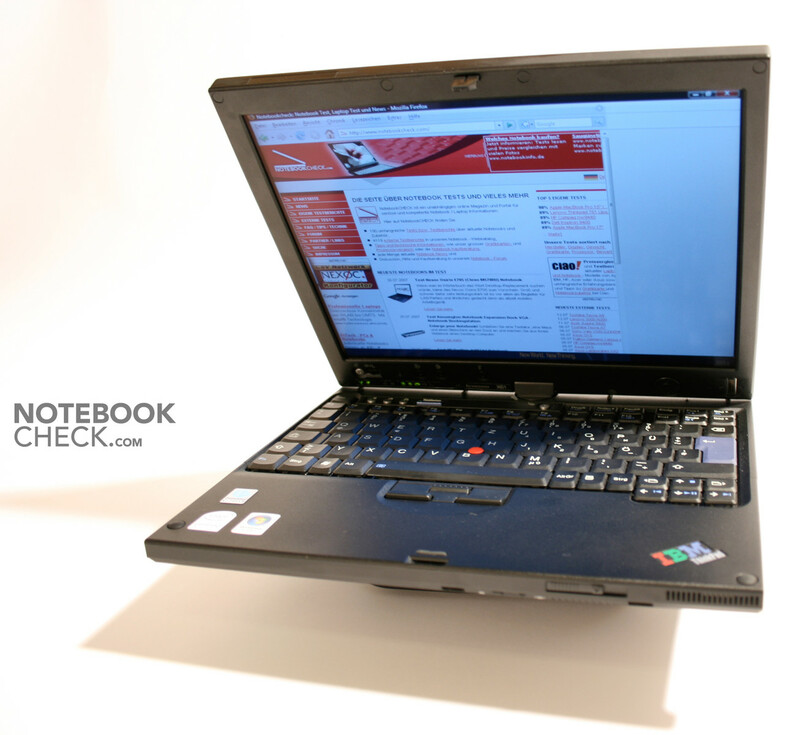 Lenovo Thinkpad X60s: Thinkpad without tablet function.